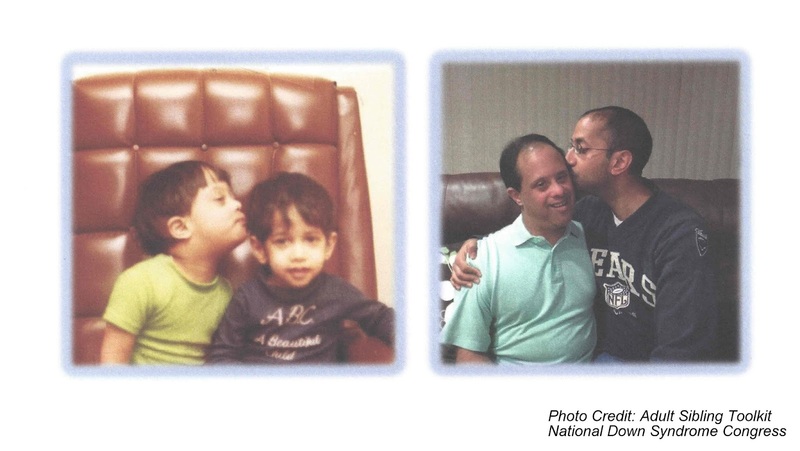 I had the pleasure of attending the National Down Syndrome Congress Convention last summer (you can read about that HERE) and while I was there, I acquired a new Down syndrome sibling idol, Dr. Kishore Vellody. Dr. Vellody is the Medical Director of the Children's Down Syndrome Center at the Children's Hospital of Pittsburgh at UPMC. He also has a brother with Down syndrome. Are they the sweetest, or what?! Dr. Vellody spoke at one of the adult sibling seminars I attended and I was so impressed with his knowledge and delivery; he was relatable on a level that can only come when one truly has the personal experience with Down syndrome that Dr. Vellody has. So I was very excited to discover a FREE series of Down Syndrome Podcasts hosted by Dr. Vellody. Here's a confession for you: This was my first encounter with podcasts. I literally had to have Travis show me how to find them on my phone. Yeah, I know, I know. It's 2016. Get with it, already. But even podcast newbies like myself should totally check it out because they are brief (10 minute-ish) talk radio style segments discussing so many issues pertaining to Down syndrome. Everything from heart surgery to constipation to sleep apena to behavior to puberty/sexuality issues to special needs trusts...and MORE! All ages are covered. Experts are brought in to offer very specific insight on each topic. The first podcast I listened to was the one on potty training and it was a game changer for me. Do you ever wonder why your child is supposedly potty trained at school but not at home? Dr. Vellody explained that it's because the school parades the children to the bathroom on a schedule and that little ones with Down syndrome usually require schedule training/prompts. Self initiation doesn't happen until much later for our chromosomally enhanced kiddos. That was a major lightbulb moment for me. Josie is very much schedule trained and now I realize that's "normal." Leanne uses the restroom without being prompted so I know that someday, Josie will, too. But it just takes a little longer to get to that point. Thank you, Dr. Vellody. This afternoon, while walking Josie to preschool, I listened to a podcast about Sinusitis - an issue we just discussed with our ENT on Friday, as Josie has been battling chronic congestion all winter. It was helpful to hear that it's not uncommon in Down syndrome and to listen to the factors that contribute to sinus issues and to learn about the available treatment options. We always like to share any helpful resource we discover and this one is something that many people who love someone with an extra chromosome can benefit from. We give it a big thumbs up! For more information on these essential Down syndrome podcasts, click HERE or HERE.